LOCATION, LOCATION, LOCATION!!! BRAND NEW CONDO ON LAKE WEIR. 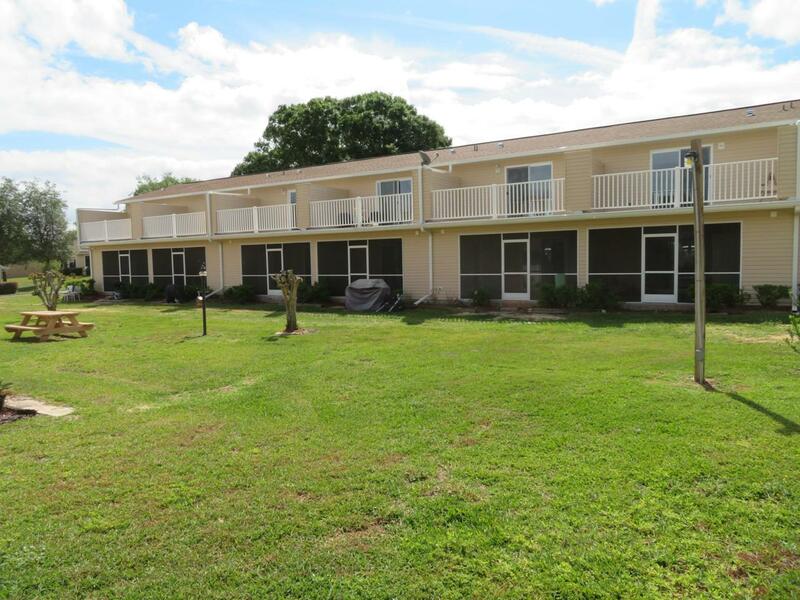 Take advantage of the amenities covered by the HOA fee: tennis and basketball courts, shuffleboard, racketball, a beautiful private beach with picnic tables, swimming pool and club house. Pull your boat up to the dock and load up your family for a day of water skiing or wake boarding or a leisurely cruise around the lake in the evening. Sit out on your second story deck to view the stunning sunsets in the evening or enjoy breakfast in your screened in porch. Additional boat storage area is also available. Would make a great vacation oasis. Start making summer memories on the most sought after lake in Marion County at an affordable price! Only 15 minutes to the Villages, a famous mecca of nighttime activities.